A number of years ago I was traveling through Heidelberg Germany and decided to visit the castle and gardens. A tour was offered and I was escorted by a very nice young lady around many of the castle features and legends that had emerged over time. She talked about the construction process and different phases as well as those who lived and ruled from within its walls. The tour was open for questions and one gentleman asked about the value of the castle. She had just concluded discussing the labor and materials involved in its creation and replied to this inquiry by explaining how under feudalism the king owned everything, so there was no way for a value to be placed on things he already owned. He owned the labor and the resources. They were at his command. I don’t remember the follow up question, but I do remember the answer. The guide politely gave a brief lesson on one of the great currencies of the medieval age, knowledge. In particular, the knowledge from books. Heidelberg played a key role in the Thirty Years’ War and as a result of a battle in 1622 one of the most prominent libraries had their text gifted to the Pope in exchange for political assistance. Heidelberg was intellectually robbed, and the tour guide, a native of the city, remembered. The real value wasn’t the fact that one stone was placed on another, it was that its library had information. Since that experience I have always viewed information as its own currency. Recently I’ve enjoyed learning about the history of the zero (concept) and the character (0) migrating from Cambodia to the west. I’ve also be learning about Fibonacci’s marvelous textbook on numbers and how it popularized our current numerical characters and mathematical techniques. Our number system is extremely powerful as a communication tool and studying its evolution provides a great deal of lessons on historical economics and human understanding. It was the underdog whose principled efficiency as a system resulted in it trumping all others. Using the idea that information is currency, one could easily argue that the United States is the wealthiest nation on earth due to its vast and ever growing collection of books in the Library of Congress. That argument would hold true if physically printed information were all that existed. In the digital domain we have several different libraries. Wikipedia hosts rather easily digestible information on a vast number of subjects. Archive.org has a similarly impressive catalog of knowledge. Specific industries and trades have also built up massive libraries of information. Many of these, if not all, are dependent upon the library of open source. While fragmented across several domains, this library has become one of the most significant accomplishments of the human era. It’s the continual evolution of practical economic theory. Within its shelves are discoveries more complex, but just as significant, as the discovery of zero. Within its texts are descriptions of forms and formulas as powerful as Fibonacci’s textbook. The library has its high profile contributors, but it wouldn’t have its volume with them alone. Throughout history we’ve seen lessons of centrally planned economies fail because they can’t accurately account for the needs within a particular market sector. In the market sector of code and the need for understanding, the lessons from the political economy also apply. Centralized planning can’t account for the demand. With this in mind the rise of open source is easy to understand. It’s not a superiority complex, its an accessibility one. If you were to visit the Heidelberg castle today you’d quickly notice the half-standing fat tower exposing the insides it was supposed to protect. In the Nine Years’ War an explosion split the structure scarring it to this day. Today the pyrotechnics you need to get at the valuable library of open source includes nothing more than a few mouse clicks and the right search terms. What makes it impressive beyond measure is not simply the vast college of knowledge inside of open source, but that the knowledge is about functions. Unlike some types of knowledge the library of open source contains information more easily executed than other disciplines. Have you seen my Mac? Do you remember the days when computers used to be glorified typwriters? That was a few years ago. With each succeeding year it seems the home computer becomes more and more of a multimedia platform. The kids and I often watch internet tv online using one of the computers in the house. Windows then WMP (Windows Media Player) works. If you’ve got a Mac then you’ve got iTunes and Quicktime built into your computer. Nowadays you can have iTunes on a PC as well as a Mac. Good news! Cross platform applications are being developed for just about everything. There’s one in particular worth watching. It’s a media player called “Songbird.” This thing’s got a few gizmos that will make it better than it’s competition–once it’s finished. Songbird is a web browser as well as a media player. If you’re using it for the internet and it finds a site that has media–nearly any media–it will tell you and ask if you want to download or play it. f it will be spent on hosting the website, but the rest has to go somewhere–like their pocket. 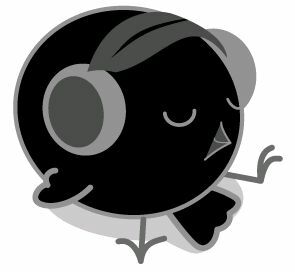 Songbird has glitches at the moment, but it’s an open source community project. Even now you can manage your iPod using the application. It’ll find your iTunes library and move it over to Songbird. You’ll still be able to play songs in iTunes & WMP as well. Eventually I’ll recommend that you all try this. In the meantime I’ll recommend that you keep your eyes open. Ask yourself how you want to view media online. Maybe post a suggestion on their forums. It’s up to you. You get to have it your way–as long as you ask. This software is currently available in all three of my favorite operating systems Linux, Windows, and Mac. If you’re feeling brave give it a go! I’ve never had it hurt anything–just be a bit glitchy. But hey it’s a “project” for a reason.